RehaDesign Wheelchair Gloves Available in Australia! If you have been thinking that the selection of wheelchair gloves on the Australian market was limited, you would be right. Until now. RehaDesign Wheelchair Gloves are now available in Australia. What makes RehaDesign Wheelchair Gloves special? RehaDesign Wheelchair Gloves are not a "one wheelchair glove for all" approach. RehaDesign Wheelchair gloves currently come in four unique styles. 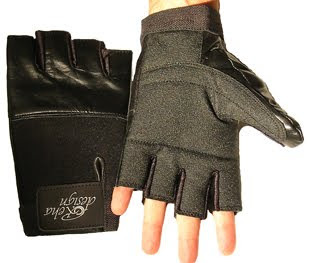 There are full finger, leather wheelchair gloves, half finger leather wheelchair gloves, Gel-Palm Wheelchair gloves for comfort and Flexi-Fit Neoprene Wheelchair gloves for people with limited hand mobility. Each RehaDesign Wheelchair glove has its unique properties and special target group. * First, RehaDesign Wheelchair Gloves are available for worldwide delivery from the Wheelchair Website. Worldwide shipping by registered post, including all destinations in Australia, is covered by the purchase price. Read more about RehaDesign Wheelchair Gloves. * Second, Request to be put into contact with an authorised Australian dealer of RehaDesign Wheelchair Gloves. Visit the website and click "contact us".